The Knicks’ sad season got even sadder today, as the team announced that Derrick Rose would be out for the rest of the year with a torn left meniscus. 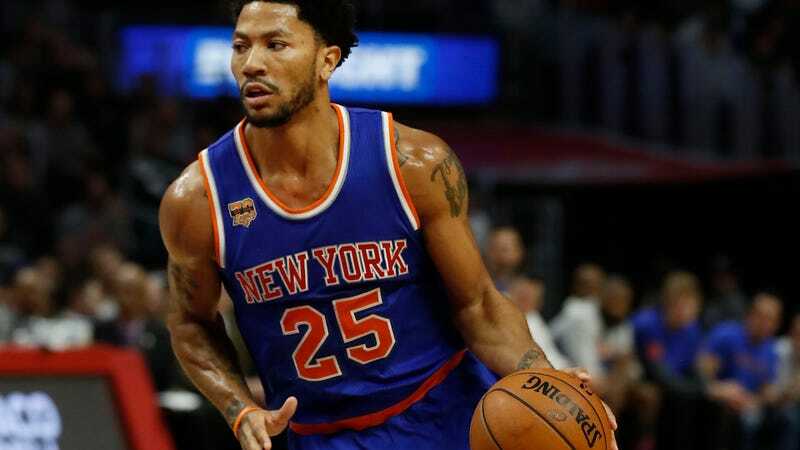 The official announcement came a few hours after coach Jeff Hornacek said that he thought Rose could potentially play in the team’s next game. Rose has had surgery on his right meniscus twice and missed most of the 2014-15 season as a result, after sitting out all of the previous season while recovering from surgery to repair a torn ACL. The recovery period for his latest injury is estimated at six to eight weeks, per Adrian Wojnarowski of The Vertical. It doesn’t bode well for soon-to-be free agent Rose, facing yet another knee surgery after a very up-and-down first season with the Knicks. NBA Teams Reportedly Want To Trade For Derrick Rose, But Why?